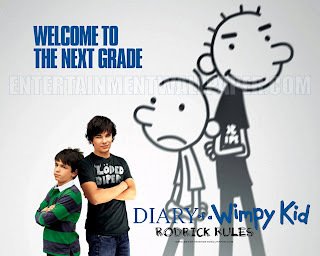 Diary of a Wimpy Kid is one of those rare films in which the children and teens look and act as though they were actually the age they are portraying. Many of them actually are, and this along with a humorously honest screenplay inspired by the books of Jeff Kinney helps to create a believable and enjoyable family film. It is not annoying or cliché; does not talk down to younger viewers or bore older ones. Few family films can actually be enjoyed by the entire family, but this is a rare exception, especially now that the storyline also includes teenagers as a central focus. Rodrick makes Greg’s life miserable, especially in front of his latest crush. After his parents grow tired of the fighting, it is decided that the brothers must spend more time together in order to bond. This turns out predictably bad, but the brothers eventually find a way to get along when it really counts.